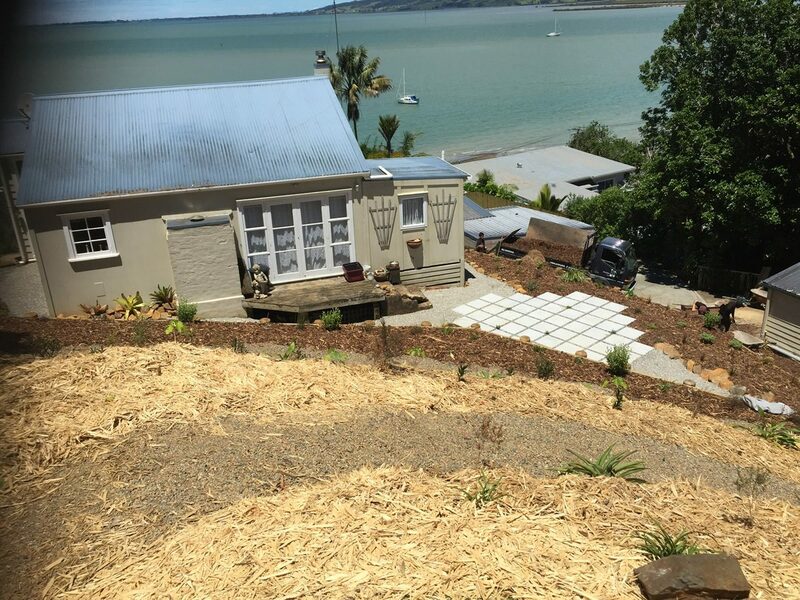 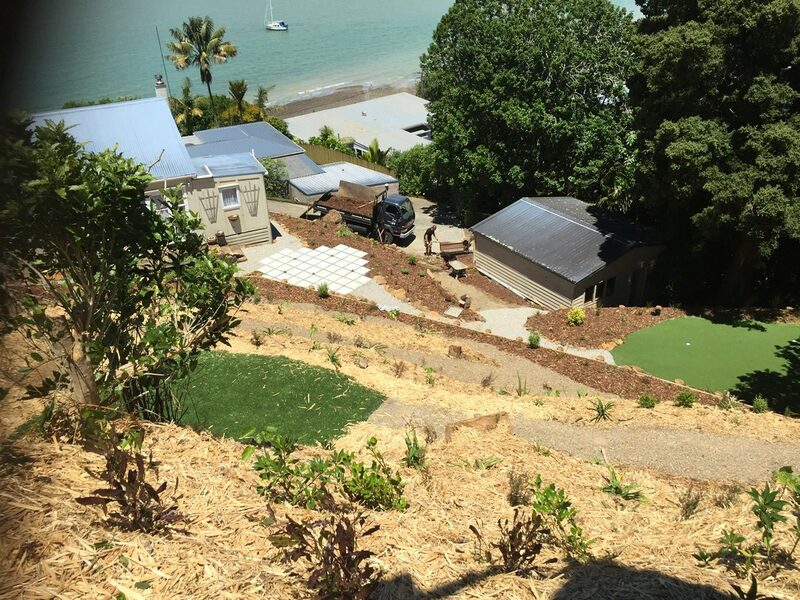 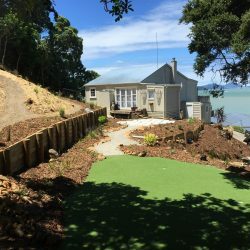 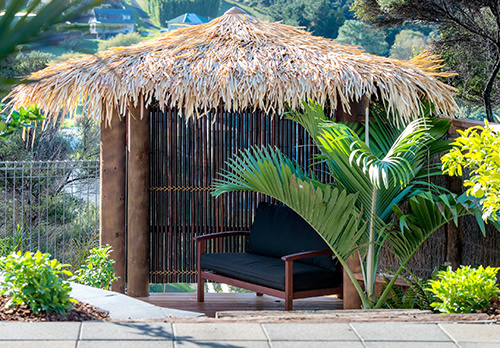 We first visited Emma’s new property on Beach Road facing down Whangarei harbour in August 2017. 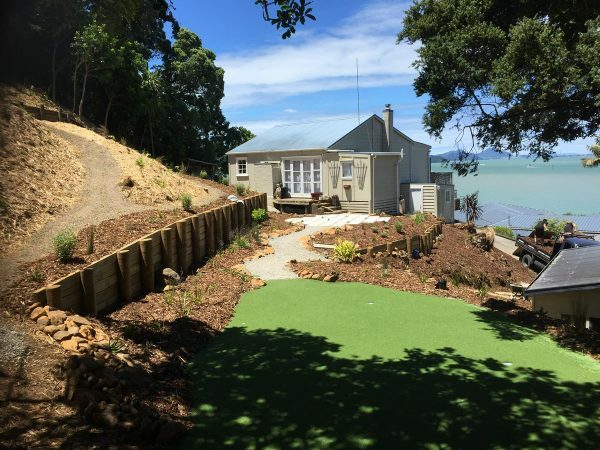 With some spectacular views, the house has been on the property for over 100 years and sits on a very steep section. 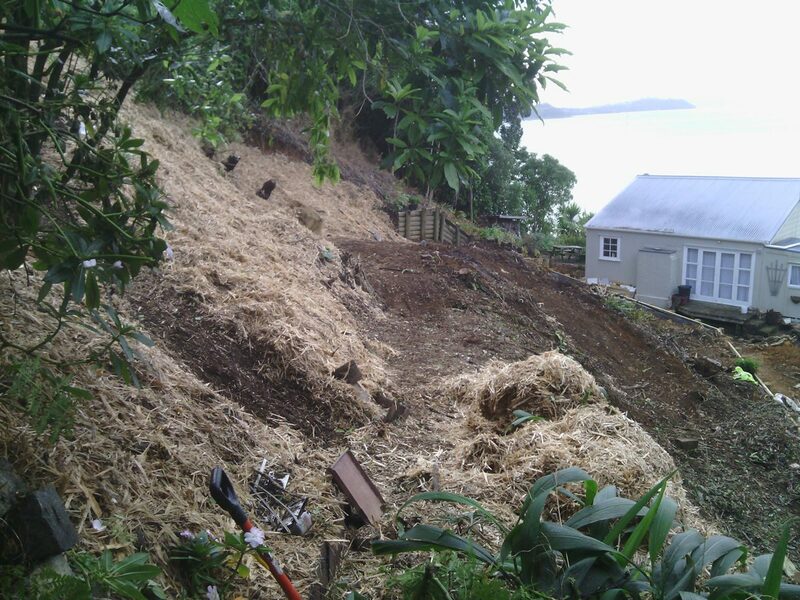 The back was completely overgrown with every weed imaginable and there was a large amount of rubbish on the property. 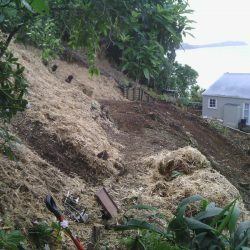 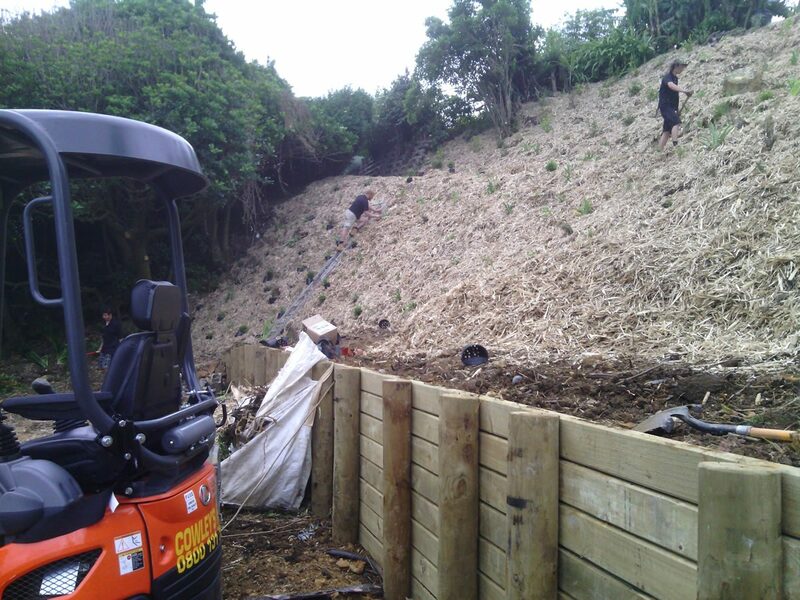 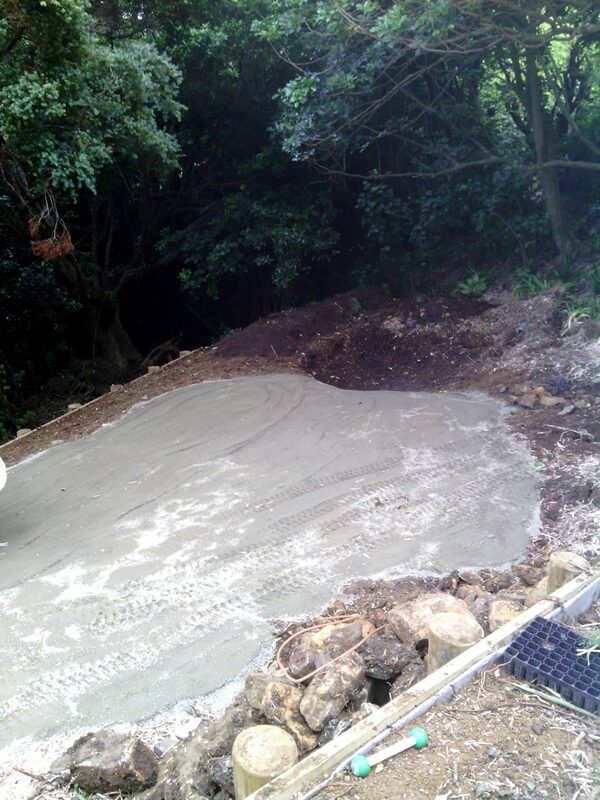 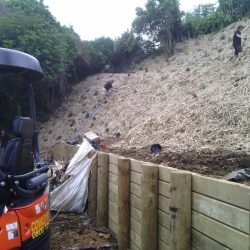 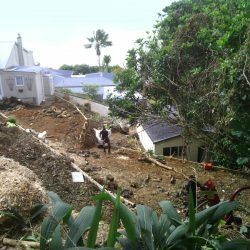 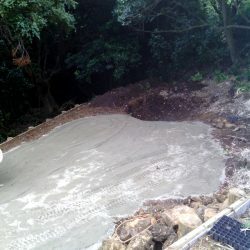 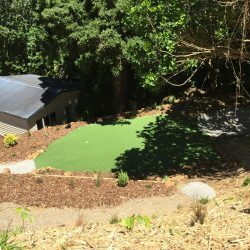 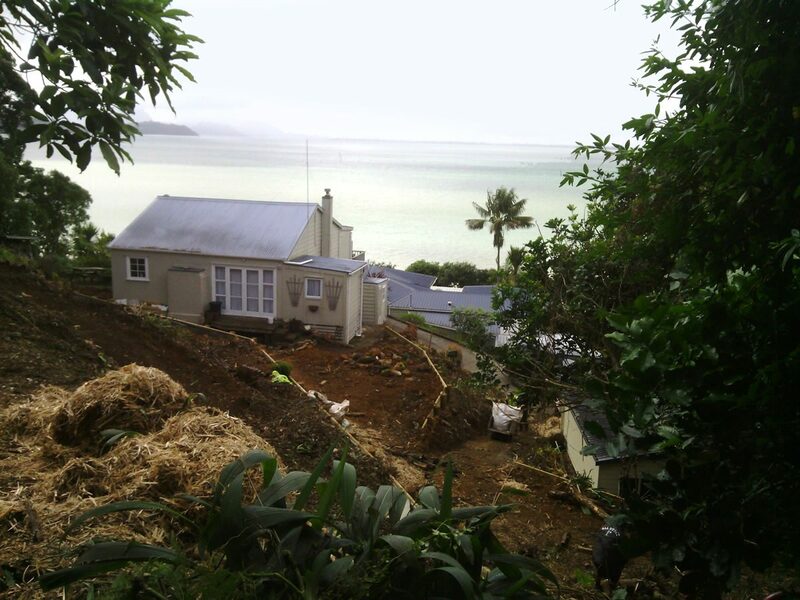 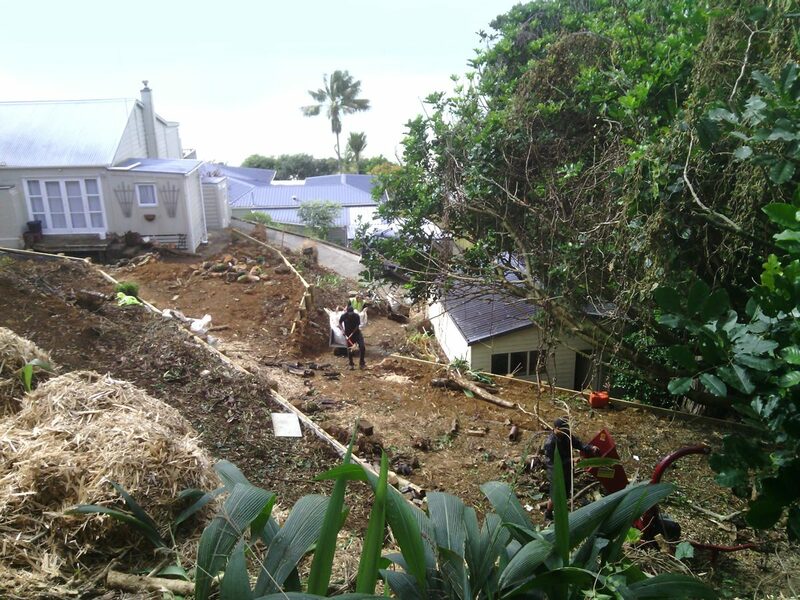 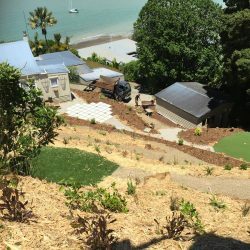 When we first got there was a very steep hillside above the back of the house, with virtually no flat space on the property. 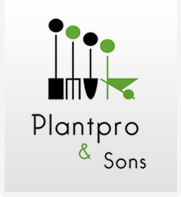 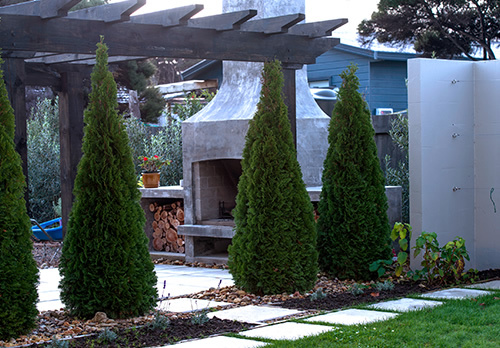 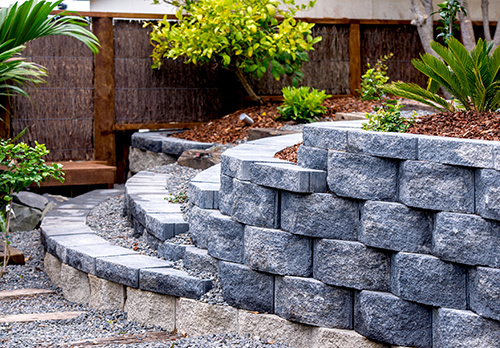 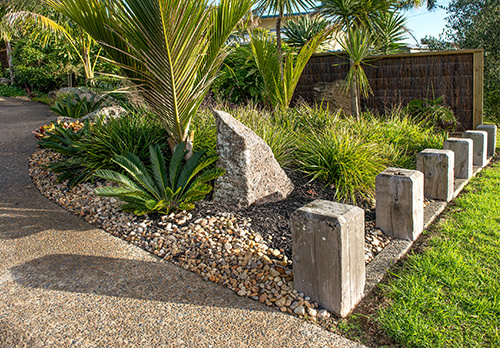 She wanted it dealt to one way or another, landscaped, but didn’t have any set ideas so we suggested to put some flat spaces in by retaining a couple of areas. 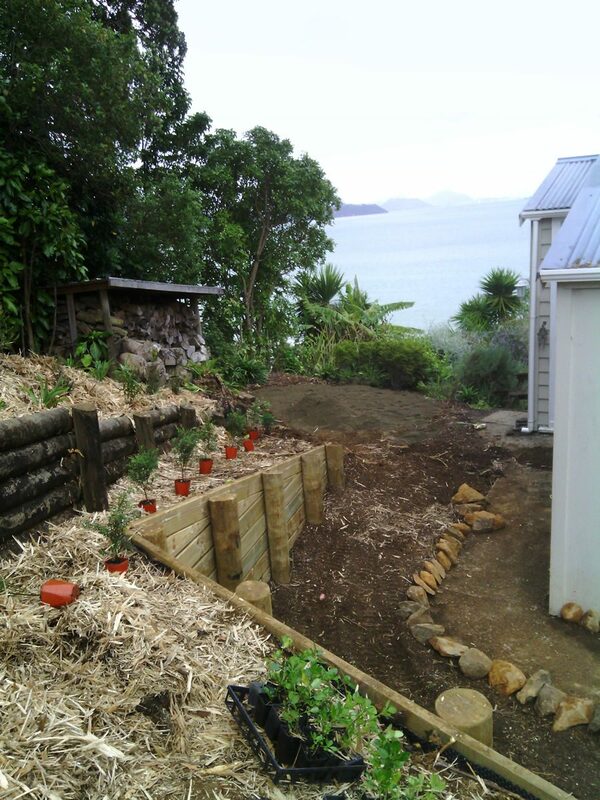 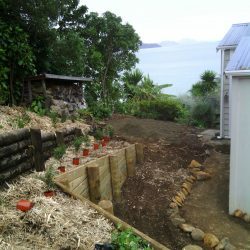 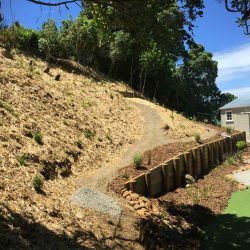 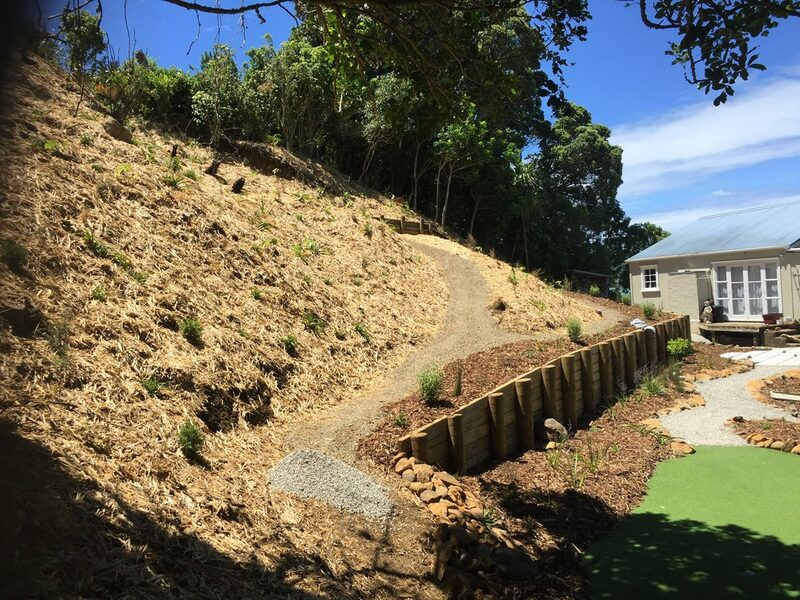 The steep upper area of the property we cut some pathways through so that it created access, and planted heavily with natives and then carried up mulch. 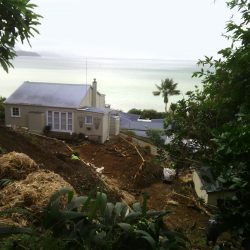 That is currently being maintained and we expect it should have good cover within eighteen months. 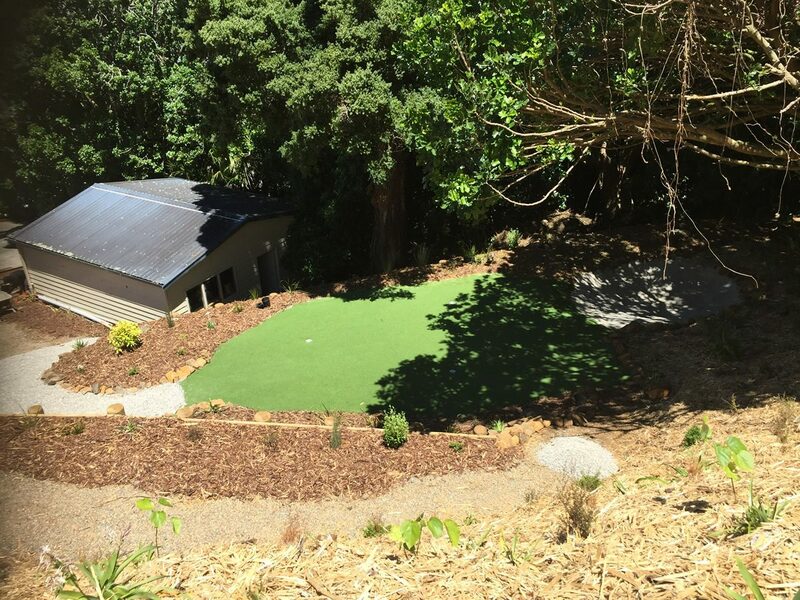 The lower part we created a patio paved area, a small putting green and easy access and flat space outside the back of the house. 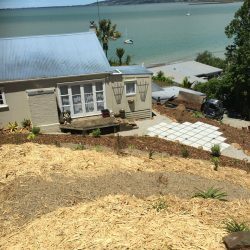 What was an impossible space, and a real mess beforehand, is now quite an attractive landscape with some flat usable spaces.